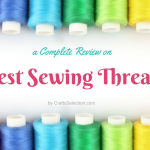 Which Is The Best Serger To Buy? 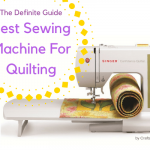 How To Choose The Best Serger Sewing Machine? There are two types of people in the world. One who uses a serger and one who hasn’t heard about it yet. This guide which helps you find the best sergers is for both types. You will have more clarity once you go through the serger reviews below. We have spent weeks testing different models and accessories, collating information, doing research both online and offline, and talking to other experts and fashion designers to come up with these reviews. It is best to assume that these serger reviews will give you a general idea about the model being talked about. As always, we tend to have a soft corner for beginner users. First-time users who want to explore the various possibilities with a serger. The differential feed and adjustable presser feet are going to aid you as you get more creative with your sewing projects. Whether it’s just polishing off the edges with an overlock seam or working on thin fabrics or even decorating knitted clothing, the Brother 1034D takes care of everything a beginner serger user would think of. 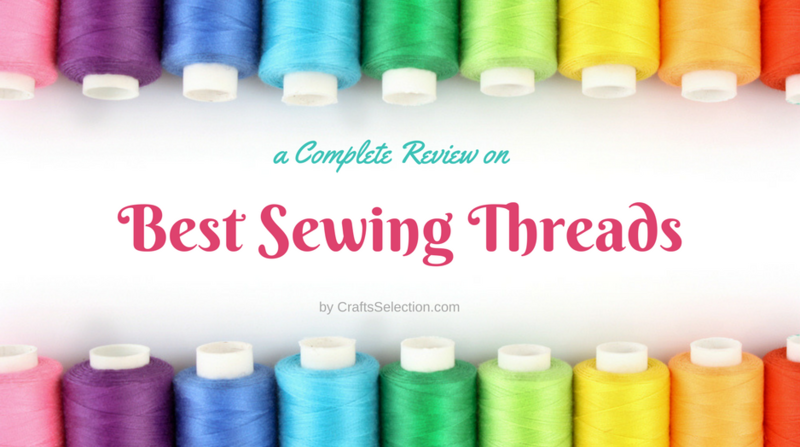 Firstly, it is very easy to thread, thanks to the color-coded threading guide with pictures. The differential feed is a feature to die for as it makes sewing on fragile materials like organza and satin easier thus giving your work that professional finish. 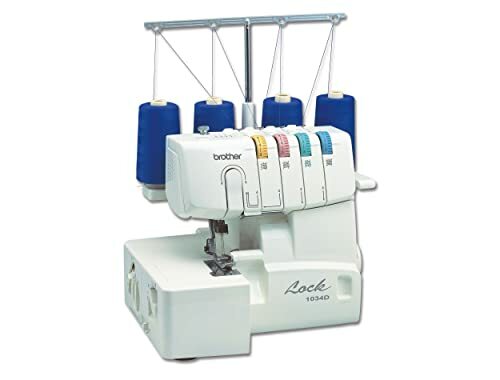 It also comes with several in-built stitches and interchangeable presser feet that enable you to sew narrow, rolled, and even blind hems and flatlock stitches among other major types. The removable arm is great if you stitch kids’ clothing where you want to work on shorter sleeves. A bestseller in its category, the Brother 1034D serges like a dream. It makes little-to-no noise, uses regular sewing machine needles (two), and also allows speed control with the foot pedal. In case you missed it, it is pretty fast at a maximum speed of 1300 stitches per minute. Unlike other sewing instruments, this one needs a mandatory oiling during the initial setup process. This can confuse beginner users. In general, oil your serger once every month if you use it on an everyday basis. The Brother 1034D is the best serger for home use – It has all the basic features and comes with a history of great reviews. Lovers of the Singer brand that are looking for a production-level serger. Slightly less priced than the Brother model above and with features similar to it, the Singer ProFinish 14CG754 is another great machine for beginners. Sergers are usually perceived as objects in which threading is considered impossible for a novice, but not with this model. Just follow the instructions in the DVD or the bilingual manual and get started. The four hem stitches are perfect for design students and creative homemakers who want to try their hands at a little decorative work. The free arm and differential feed are lifesavers. 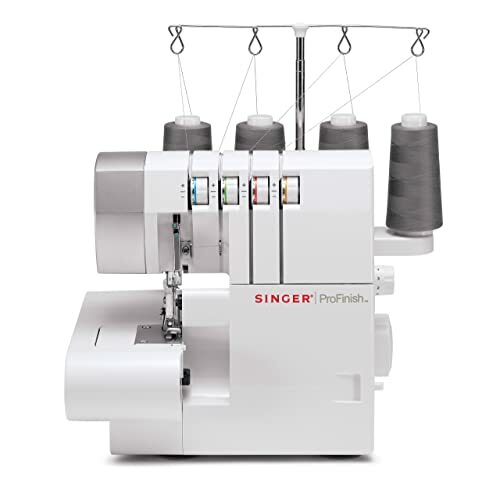 Overall, Singer ProFinish is a smooth and portable serger that will give a run for your money, considering that it is cheaper than the Brother model and comes with more accessories. Parts replacement can be a hassle with Singer. However, it makes sense to just replace the entire unit if at all it malfunctions. 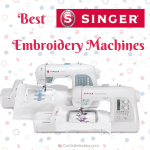 The Singer 14CG754 is the best affordable serger on our list and one that lives up to its promises. Beginners will love it as it is easy to use, durable, and comes with all the necessary features. 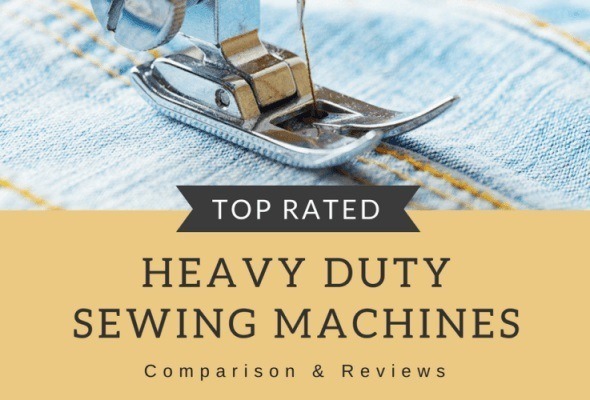 Beginners and hobbyists who want a bit sturdier and heavier machine that sews, cuts, and hems at a smooth and fast pace. For everyone who believes more in Janome than Brother and Singer, this model is going to be the new bad boy. It is such an easy machine that you can start working on a project as soon as you receive it. Just feed the spools, guide the threads, and start sewing. The color-coded threading guide definitely helps if you want to experiment with the pre-setup. Once you start using it, it will soon become clear what the extra dollars have been used for. It is a real workhorse that can work for hours without making noise. The instructional DVD is designed in a way that both beginners and advanced users can use it to utilize the Janome 8002D’s capabilities. Janome is a customer-friendly brand which always puts its users first. 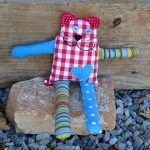 No wonder why this easy to use serger is also recommended for children (young learners) and people with low eyesight, arthritis, or impaired motor skills. A person who has never used a serger before can effortlessly manage to do a variety of projects that require different types of stitches. The lack of free arm may hinder homemakers and people who work with kids’ clothes, but a sensible trade would be that Janome can even manage denim materials. It is not easily portable like the Singer model. Threading the lower looper can get a bit difficult initially, but just follow the user manual, and you will be alright. 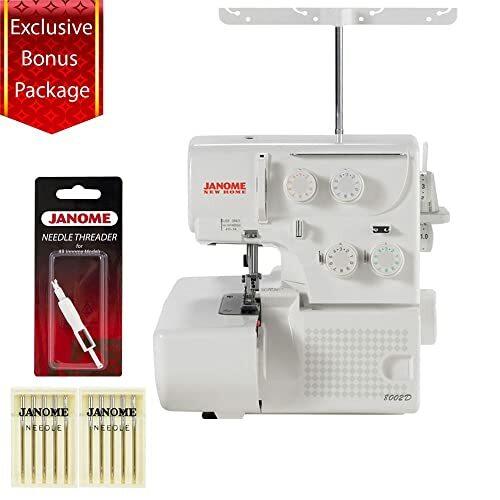 If your budget is a bit on the upper side (still below $300) and are looking for a heavy-duty yet entry-level 3/4 thread serger, the Janome 8002D Serger the one to go for. Home business owners who are looking for specialty stitches like coverstitch, 5-thread safety stitch, and chain stitch. Support for all types of light- and heavy-weight fabrics. 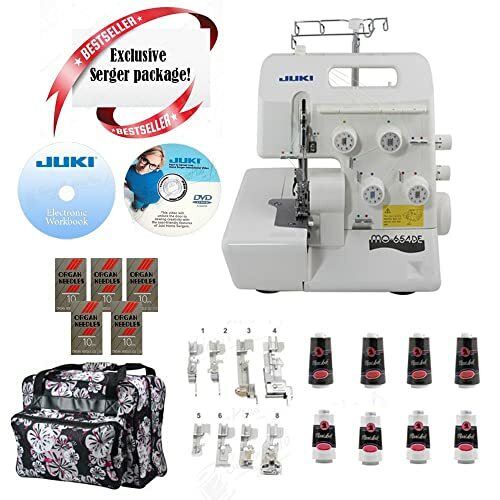 A heavy-duty serger for home business owners and fashion design students, the Juki MO-735 is known for its exceptional coverstitching capability; careful, high-quality stitches that stay for years and years, and knit sewing. Once you manage to get around with the threading, this serger will serve as a multi-purpose utility for your home-based business. It can sew on all types of fabric materials, has abundant stitch styles, and comes with added features that will make even the most advanced user jump in joy. For example, the serging precision is so impressive that you get accurate seam allowances even if you don’t pay any attention. This may amp up people who are in the sewing industry who would compare it with industry-grade machines (Juki MF-78, for example) and then rant that this one here is not as heavy-duty as the ones they use in warehouses. 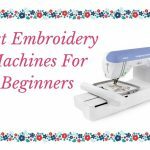 The opposite is true – this is the best Juki serger at this price that is also powerful, fast, and very durable – as you will find out within minutes of owning it. Although this Juki 5 thread serger can be a bit difficult to thread, once you figure it out (which as an advanced user you should), it’s the best thing you will own as a professional sewer. If you are looking for the best serger with coverstitch and have already created a Pinterest account to share your awesome business-oriented creations as part of your digital marketing, then your pursuit ends here. Professional craftspeople who really know their way around 5-thread, versatile sergers. With a price that is less than half of what the Juki MO-735 costs, this Singer 14T968DC model is one of the top rated sergers in the heavy-duty, professional category. Not recommended for beginners at all, this sturdy instrument is how far technology can go in an industrial serger sewing machine (remember we mentioned something about industry-grade in the previous review?). The features are similar to what we saw with the Juki model but complexity is what makes this a real sweetheart for experienced serger users. Once you have completely read the workbook (can be downloaded from the internet or on Singer’s website) and the user manual, you will start understanding why it is one of the best sergers with coverstitch capability. Because it uses top-grade serger needles and serger threads, the finished seams will look like they were sewed by the almighty Himself. Even our own tester took 2 days to completely understand the machine before he gave us the points to write about. Almost all types of stitches are possible with this model, which you can pull off in any type of fabric. Don’t ignore the free accessories kit as it can be a goldmine of stuff that usually doesn’t come cheap. The only drawback is that it does not have a free arm, which would have made it the ultimate serger machine in the world. 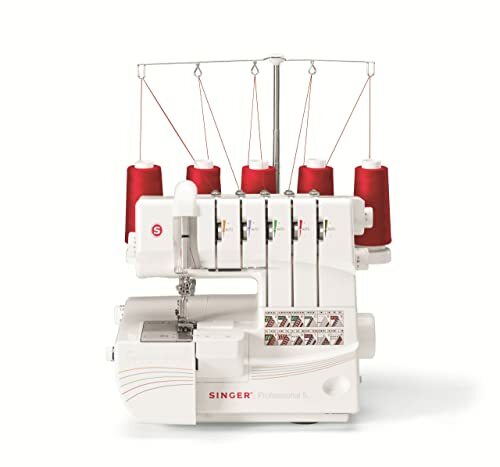 We personally love this serger Singer 14T968DC a lot because we tend to ignore the point about the threading being difficult. Threading in sergers are supposed to be a complicated process; a magician needs a lot of practice and prep before he can show us the tricks. Considering its industry-grade, standard household needles are useless in front of this model. You will have to invest in an extra pair of sturdy, nickel-plated needles. 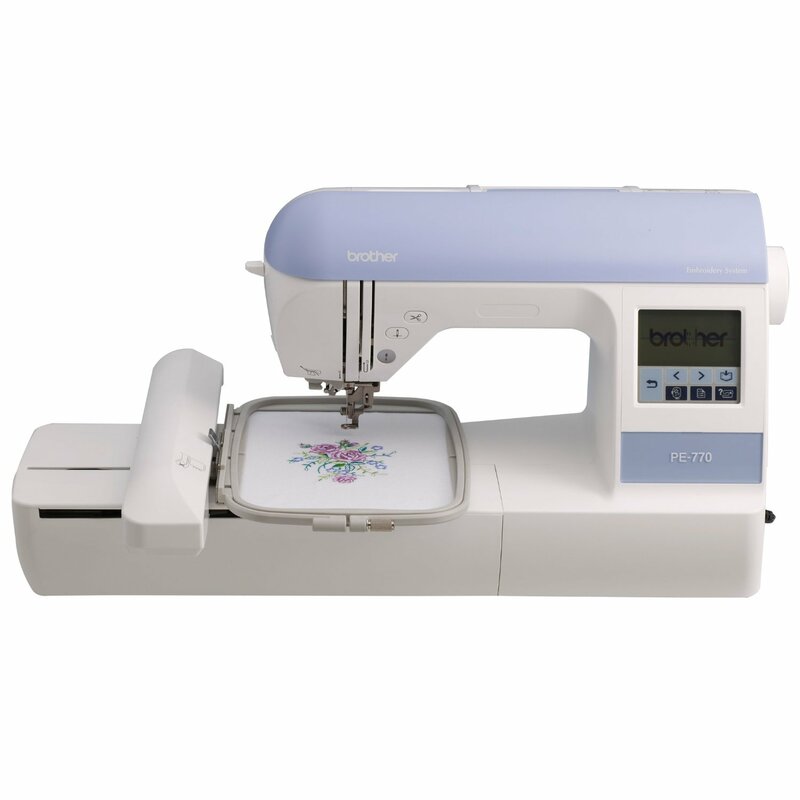 Overall, Singer 14T968DC is a coverstitch serger combo that is powerful, high-performing, and one of the most advanced machines out there. The fact that it costs less than $500 is what gets us every time we review it. Users looking for a heavy-duty serger that is affordable yet versatile in its operation. A lighter version of the Juki MO-735 reviewed above, this Juki MO-654DE here is a 2/3/4 thread serger that comes pre-threaded with top-grade threads and which can be put to work almost immediately. Having said that, it is not as complex as the above two when it comes to setting up. Everything is color-coded here, which does not leave any room for error. The serger machine adjusts itself as you operate on it, with the accessories (part of the “I want it all” package) finally making sense. It is important to keep the manual always handy so that you don’t lose your way as you get engrossed in it. Perhaps the only serger in this list to have a very bright work area, this is suitable even for those weak in the eye. The tension setting can take longer, but once you get a knack of how it works for this specific model, it won’t be an issue. 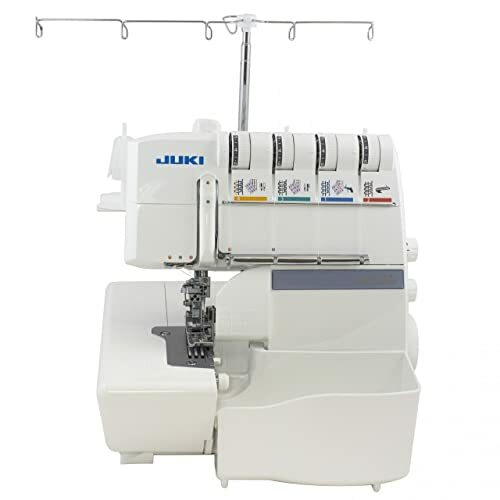 As marketed by online retailers and Juki themselves, the Juki MO-654DE comes highly recommended for anyone looking for a great, affordable serger with all the bells and whistles. Beginners and advanced users who struggle with threading. This is arguably the best technology in modern sergers. The air-controlled threading system of Juki MO-1000 Serger is so easy that it can be carried out by even a three-year old. 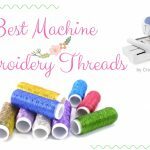 You just have to guide the thread to the looper holes in the threading panel and push a button – threading happens in a jiffy. Therefore, it is the perfect self-threading serger to gift your daughter so that she can mimic her mother’s Instagram feed. On the serious note, other than the self-threading system, the stitches come out really nice and will hence give your projects the professional look that you desire. The automatic rolled hemming is another nifty feature that will save you a lot of time doing decorative stitches and embellishments. 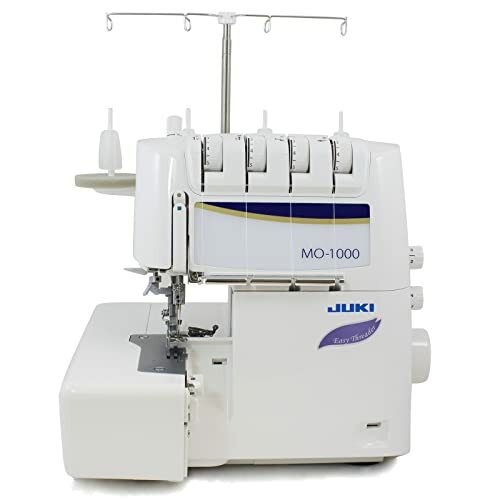 The Juki MO-1000 Serger is a workhorse automatic threading serger which has a name for itself because of its effortless threading system. In a digital age where everything is automated, it is tools like this that take the pie. It does not support manual threading, which cannot really be considered a con. If automatic threading is your only main criteria, then it is time to hit the Buy button and own the easiest serger to thread – this little Juki MO-1000 that is gaining critical acclaim from the young folks of the sewing community. After analyzing our research data to find the best serger for beginners, we came up with the following three models. If these three highlights cover all that you are looking for in a serger, then it’s time to select the one that suits you best. If the above three models (that also feature the top three serger brands in the US) do not suit your needs, then we need to ante up. 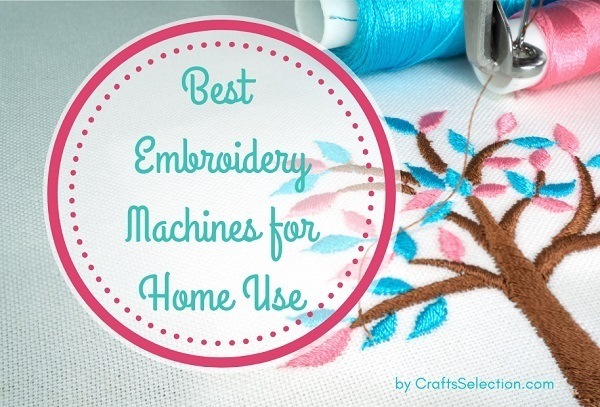 These professional sergers are capable of a lot more than entry-level models. You can work any type of fabric material, use up to five threads of different colors, and create hybrid stitches of your liking. With one of these, you can run a home-based sewing business and satiate your creativity needs. Trivia – Juki is often considered the best sewer brand that you have never heard of. Self-threading sergers have already taken the sewing scene by storm. The media may get one more thing to add to the list things millennials killed (the manual threading), but who cares when it the job gets done in seconds flat? You have never used a serger before but now want to upgrade your sewing skills with a good serger? Our advice is, to learn about basic features of a serger and determine which type of serger is most suitable for your need before making decisions. 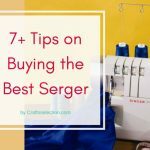 If you are a beginner, I would recommend you read through the guide then come back with the above serger reviews for more informed choice. 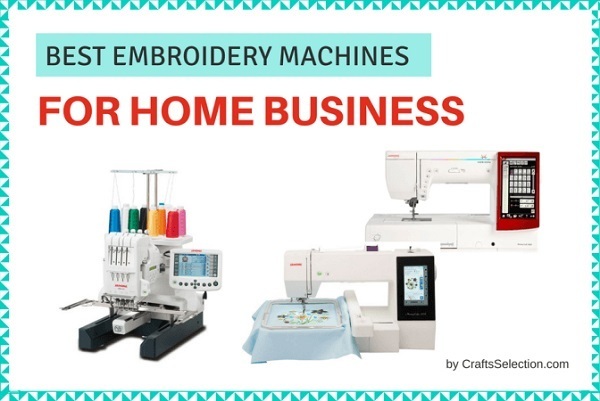 There are many great serger sewing machines out there which have equally appealing features and robust mechanisms, but the reason why we picked this handful is that we understand your requirements. Our testers took their own time to evaluate and compare sergers to come up with these models. Brother 1034D and Janome 8002D are both perfect for beginners. 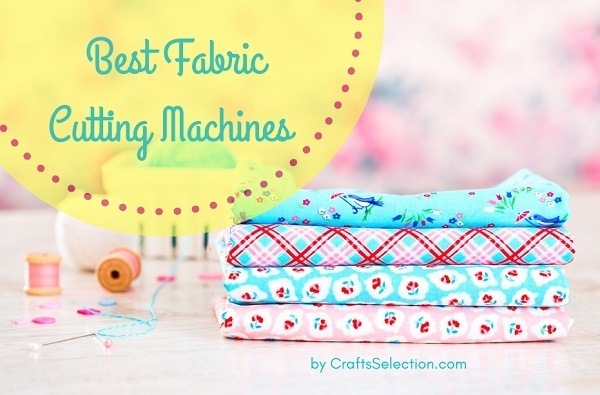 Each has its own set of features that will take care of your basic serging needs as you explore possibilities that are not possible by your humble sewing machine. If you are looking for an upgrade or are a professional serger use, then we recommend Juki MO-735, the best serger in the heavy-duty category at a reasonable price. There is nothing that this workhorse of a machine can’t do and coverstitch is just its starting feature. However, if threading is a concern for you, then get Juki MO-1000. Its air-controlled threading system can even be controlled by a three-year old. 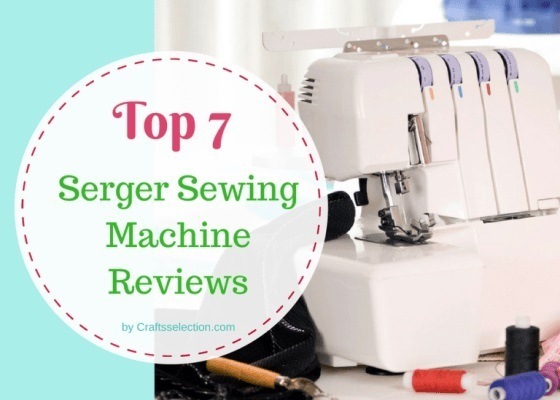 While all the seven models featured here are the best in their game, we request you to go through the serger machine reviews above purchasing. Remember that investing on a serger is a one-time investment; we just ensured that you do it right.